2012 Chairman’s Trophy Winners Announced For Best Gin, Vodka, Tequila, Rum and More in Contemporary Classic Cocktail Categories. Ultimate Beverage Challenge® (UBC), is proud to announce the results of the annual Ultimate Cocktail Challenge® (UCC) held at Astor Center in New York City, June 4 – 8, 2012. Ultimate Cocktail Challenge encompasses two distinct competitions – Classic Cocktail Challenge and Signature Cocktail Challenge. Hundreds of cocktails were tasted and rated over the course of the week to determine which brands would be awarded the coveted Chairman’s Trophy for the top-performing spirits. Led by F. Paul Pacult (Judging Chairman and UBC founder) and Sean Ludford (Co-Judging Chairman), the Ultimate Cocktail Challenge 2012 panel of judges included mixology superstars Eric Alperin, Jacques Bezuidenhout, Tad Carducci, Curtis Cheney, Dale DeGroff, Don Lee, Lynnette Marrero, Jim Meehan, Steve Olson, Julie Reiner, Willy Shine and David Wondrich. UBC’s Classic Cocktail Challenge assessed how spirits performed as the base of classic cocktails, naming for example the best gin to make a dry gin Martini, the finest tequila for a classic Margarita, etc. Entered brands were tasted in all cocktail recipes for their category. For instance, all gins were tasted in a Martini, Aviation and Negroni. Many consumers have a favorite go-to classic cocktail that they shake up at home, but few have the time or resources to experiment with dozens of different brands to determine which is the best spirit for their favorite classic recipe. Ultimate Cocktail Challenge results, which are provided by the foremost cocktail authorities, give reliable recommendations for purchasing decisions. Signature Cocktail Challenge assessed the quality of proprietary cocktail recipes entered by individual brands. This year more than 50 proprietary recipes were submitted, and five were awarded the Chairman’s Trophy, the highest Ultimate Cocktail Challenge honor. For the complete list of results for both Classic and Signature Challenges, including classic and signature cocktail recipes, go to www.ultimate-beverage.com/ucc2012results. 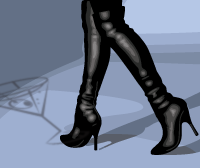 For a selection of downloadable images go to www.ultimate-beverage.com/ucc2012download. Spirits in Classic Challenge were judged on the 100-point rating system. The highest scoring spirit in each classic cocktail was awarded the Ultimate Cocktail Challenge Chairman’s Trophy. 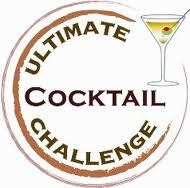 Ultimate Beverage Challenge inquiries: info(at)ultimate-beverage(dot)com or 1-347-878-6551. Media inquiries: Manuela Savona, Savona Communications, manuela(at)savonacommunications(dot)com, 1-917-969-1275.